There is a belief that once someone has been cured of cancer, they should feel ecstatically happy. Why wouldn’t they? The treatments are over! They are cancer-free! The battle has been won! 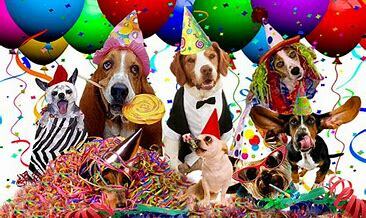 However, many of the people I have met during this stage of their cancer journey don’t feel like it’s time for a party. In fact, they feel that their journey isn’t over. If the first half of having cancer is the treatment, then the second half is ‘after the cure’. In this post, we’ll explore some of the physical, emotional, spiritual and social challenges that can be part of post-cancer life. Why Am I Not Happy? What’s Happening Emotionally. Last year, I was able to take a tour of the Grand River Cancer Centre. I didn’t see it, but I’ve heard that a gong is rung each time a patient completes their series of chemotherapy treatments. While some patients thought that this was a useful ritual to signify the end of a challenging time, others have shared with me that they didn’t. Some were too tired. Others were remembering fellow patients who were unable to finish their chemotherapy treatment. Many were busy integrating their experience and the ringing of a gong wasn’t significant enough. Depending on the treatment you received, there are emotional side effects…depression, anxiety and anger. 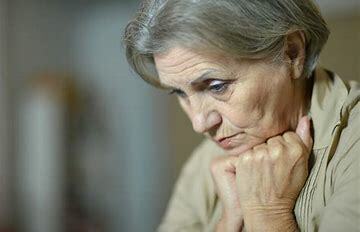 There is also the fear that the cancer will return leading to hyper-vigilance about any physical symptoms. A headache no longer is just a headache. These emotions are normal and learning to cope with them is part of post-cancer recovery. One reason for these emotions is that you may feel that you are now on your own. During your treatment, your calendar was filled with medical appointments. You were supported by medical staff, and received regular updates on the state of your health. You had a routine. Now cancer-free, you’ve graduated and expected to go back to your life–without the supports you became used to. 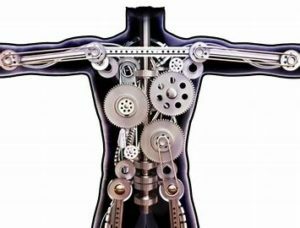 Since the mind and body are connected, what you are feeling relates directly to your physical self. It’s accurate to say that your ‘pre-cancer’ body is different than your ‘post-cancer’ body. Depending on your cancer and treatment, you could be learning to cope with fatique, chronic pain or numbness, early menopause, weight gain or loss…to name a few. As more people are sharing their post-cancer experiences, cancer is being seen as not only an acute illness, but also a chronic one, because some of these changes are permanent to some degree. A task of thriving in the second half of the cancer journey is to find ways to cope with these changes. Talking with your doctor, therapist support (i.e. massage) and/or other cancer patients who have tools to share from their own experience can be helpful. However, on a deeper level, I think that one of the biggest physical challenges is the loss of body confidence. How did I get cancer in the first place…especially if I took good care of myself? There may be feelings that your body betrayed you and is no longer trustworthy. In this matter, time can be the greatest healer. While there may continue to be flareups of anxiety/mistrust as medical checkups or routine illnesses come up; over time, if you remain cancer-free, some form of trust will redevelop. A cancer diagnosis can make us ask many existential questions…especially when we survive. Why did I survive while others didn’t? What am I meant to do with the rest of my life? I’m a good person, so why did I get cancer? The cancer journey puts us in touch with our mortality…often for the first time. These questions are normal and, while difficult and uncomfortable, can lead to a greater sense of meaning and purpose. Often when you are in active treatment, you’re surrounded by family and friends who want to help. 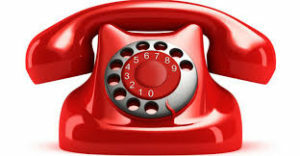 Offers of food, transportation or household help arrive. However, after given the cancer ‘all clear’, these supports disappear as the crisis is over. Sometimes people who supported you expect that you’re back to normal. Unfortunately, as noted above, you have a new body that may not allow you to do all the things you used to. 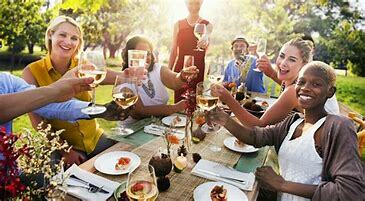 You may not have the energy to socialize or find talking difficult. As You wrestle with spiritual issues you may need time alone. Friends and family may not understand. Another social reality you may struggle with is coming to terms with who wasn’t there to support us during our treatment. Often we can be surprised and delighted by who showed up to help, and we can be sad and disappointed by those who we thought we be there for us and weren’t. One of the tasks of this stage is to come to terms with this disappointment and figure out how or if this changes your relationships to these people. At some point, there was an expectation that after treatment you would return to your old life, only to discover that the ‘old life’ no longer exists. Maybe you see your relationships differently. Perhaps your energy level or physical abilities are not the same. It’s time to create a new normal that takes into account the massive changes you have gone through. 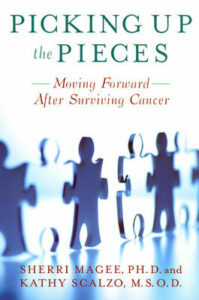 Picking Up the Pieces: Moving Forward After Surviving Cancer by Sherri Magee, PhD & Kathy Scalzo, M.S.O.D. This book takes up where the books on how to cope with cancer treatment leave off. Written from the concept of putting pieces of a puzzle together to form a healthy whole, the book describes a four-phase healing process–each relating to the physical, emotional, spiritual and social aspects of the new normal. There are lots of tools, quotes from cancer survivors, and valuable information describing may be occurring for you. Magee and Scalzo set out the tools needed to create your own healing plan. 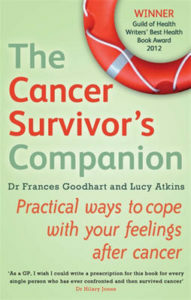 The Cancer Survivor’s Companion: Practical Ways to Cope With Your Feelings After Cancer by Dr. Frances Goodhart & Lucy Atkins. In this book, the authors look at the emotional reality of post-cancer life–including sleep and sexuality. Each chapter contains coping strategies and coping strategies. I especially appreciate that Goodhart and Atkins have included ways for friends and family members to support ‘their person’. As Dr. M. Scott Peck notes in the first line of The Road Less Traveled…life is difficult. And it can also be joyful, no matter where we find ourselves. If you are in the second half of your cancer journey, take your time and be gentle with yourself. If you are supporting someone, thank you. And now…something to think about…a Ted Talk by a cancer someone who completed her cancer journey.